Jim was born on 27th September 1907 at 4 Richard Street, and was christened on 8th August 1908 at St George's church; his mother, Mary, is a winder and it seems likely that she worked at the nearby Woodside Mill. 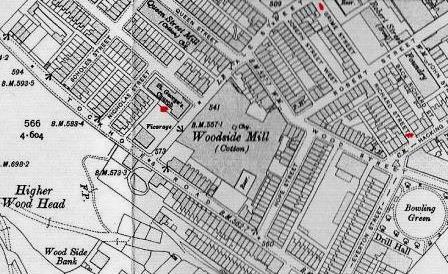 The map below shows Richard Street identified by a red dot on the right; St George's church is to the left of Woodside Mill. 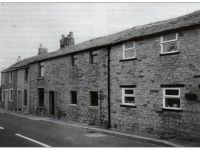 In 1911, when Jim was three years old, he was living at 4 Grime Street (just above Richard Street) with his mother, Mary Turnbull, who is aged 37 and is down as being single, she was born at Dent Head. There are two other children, Mary, who is five, and Lily Jane who is two. It seems highly likely that these are, in fact, James' siblings Ivy Waring Turnbull (born 1906) and Eliza Jane (born 1909). Mary and her children are down as boarders and the head of the household is Thomas Waring who is 31, single and a gas stoker who works for the corporation. He was born in St Helens. Whilst it says father unknown on James' birth certificate it seems likely to me that as Mary's first born was called Ivy Waring Turnbull, and the family are living with a Thomas Waring, that Thomas could well be the father of all the children. I can only assume that he was already married and therefore could not marry Mary. Another son, Thomas, was born in 1916. Jim's mother, Mary, came from a large family: she had two half-siblings, and eight full siblings; she was the fourth child born to Eliza Heaton and Robert Turnbull (Eliza's sixth child). When Mary was six years old she was living with her parents and siblings at 47 Blacksnape. Her father, Robert, was a brick layer, he was aged 36 and her mother, Eliza, was 35. Her siblings included: John W. Heaton, 15, labourer; James, 13, half-time labourer, and Ann, 11; Robert, 9; George, 4; Eliza, 2 and baby brother Albert. Ten years later, in 1891 they had moved to 4 Richard Street; Eliza is down as the head of the family, clearly Robert is away working somewhere, her daughter Harriet Heaton, 27, is living with the family, she is a cotton minder and has a child, Eliza Jane Heaton aged 3. Mary's other siblings are James 23 who is now a carter; Ann 21 is a warper; Robert 19 and Mary, herself, 16 are both cotton minders; Eliza is 12 and a weaver; Albert is 10 and there is now also Thomas 7, and George E 5. By 1901 it seems likely that both of Mary's parents had died as she is still living at 4 Richard Street but is down as the head; she is 25, single and a cotton winder. Her brothers Thomas, 17 who is a brick setter and George E, 15, a warehouse errand boy (post), are at the same address. Mary is still living here in 1906 and 1907 as it is here where her first two children, Ivy and James were born. In the 1911 census, Mary is living at 4 Grime Street; she is a boarder and now has three children, Lily 5, James 3, and Mary Jane 2. As I said earlier, it is likely these are in fact Ivy Waring Turnbull (born 1906) and Eliza Jane (born 1909) and the head of the household is one Thomas Waring. Mary had a fourth child, Thomas, who was born in 1916. It doesn't appear that Mary married, at least I cannot find any marriage details for her. I did, however, find the death of a Mary Turnbull in Darwen in 1933. This needs confirming by her death certificate but it seems likely that this is our Mary as she is the correct age (57) and there isn't another Mary Turnbull in the BDMs for the right period. Briefly, this is what happened to Mary's children: Ivy married John Rooney in 1936; she died in 1985 aged 79. Eliza Jane went on to marry James Farrell; I don't know how many children they had, Eliza died in 1977. Thomas married Hilda Eccles and they had one son, Peter. Thomas died in 1968. Mary's mother, Eliza Heaton, was born in about 1846 at Shap, Westmoreland. We don't know who Eliza's parents were. Eliza's first two children were illegitimate: Harriet Heaton (b. 1864, Tockholes) and John William Heaton (b. 1866, Carnforth). Eliza married Robert Turnbull in Blackburn in 1867. Eliza and Robert had nine children: James (b 1868, Tockholes); Anne (1870, Eccleshill); Robert (1872, Barrow-in-Furness); Mary (1876, Dent Head); George (1877, Queensbury, Yorkshire); Eliza (1879, Miles Platting); Albert (1881, Blacksnape); Thomas (1884, Darwen); and George E (1888, Darwen). In 1871 Eliza is living at 52 Blacksnape; Robert must be away working. Her son John William Heaton is 5, James Turnbull is 3 and her daughter Anne is 1. I cannot find where her daughter, Harriet, who would have been seven, is. As I note above, under Mary, in 1881 the family have moved to 47 Blacksnape and in 1891 they are living in Richard Street. Robert is with them in 1881 but he must be working away again in 1891. I cannot find any other records for Eliza Heaton/Turnbull, but it is clear she died some time between 1891 and 1901. It is possible there is a connection with Tockholes: Eliza's first born, Harriet, was born in Tockholes in 1864; as was James in 1868. In the 1861 census there is a Mary Heaton, age 43 who is single, living with her daughter Sarah A who is 17; both are down as being born in Tockholes. I wonder whether they are related? Eliza's daughter, Harriet Heaton, in 1881, is lodging with her step-father's sister, Margery Waddicor and her family at 42 Blacksnape whilst her mother, Eliza, is living with her husband Robert, their children and Eliza's brother, John William, just up the road at number 47. Harriet has an illegitimate child, Eliza Jane Heaton, in 1888. In 1891 Harriet and her daughter are living with Harriet's mother, Eliza and her family at 4 Richard Street, Darwen. Harriet marries Thomas Kay in 1893 and has a son, Whittaker, with Thomas. in 1901 they live at 19 Tower Street, Thomas is a filler in a paper mill. By 1910 they have moved to 1 Primrose Hill; Thomas is still working in the paper mill and Harriet is a weaver. Their son, Whittaker, is 13. 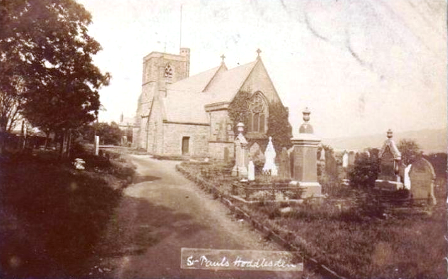 John William Heaton marries Frances Townsend at St James, Darwen, in 1889. They have a daughter, Hannah who was born in 1890. In 1891 they are living at 19 Pitt Street. Hannah is three months old but dies in 1992 at the age of two. They have a second daughter, Frances, in 1899 and in 1901 they are living at 17 Highfield Road. John William is still a brick layer. In 1910 the family emigrate to Canada. We know more about Mary's father, Robert. He was born in 1846 in Brafferton, Durham to John and Ann Turnbull. In 1851 Robert, aged 6, is living with his parents John and Ann and his siblings at Jew Row, Poynton, Cheshire; Robert is their third child. 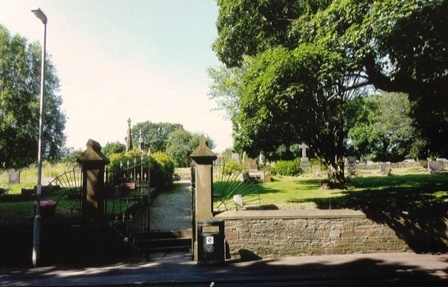 In 1861 Robert's parents and siblings had moved to Darwen whilst Robert is still in Poynton, lodging with the Bradshaw family. He is a labourer in the colliery. Robert was born in Barrow-in-Furness in 1872, perhaps his father was working on Leven Viaduct. Mary was born at Dent Head in 1876, perhaps Robert was working on the Dent Head Viaduct. When George was born in Queensbury in 1877 it is possible Robert was working on the Thornton Viaduct. And when Eliza was born in 1879, he was working on the local viaduct at Miles Platting. It also seems possible that as Eliza's second child, John William, was born in Carnforth in 1866 that this is where Eliza and Robert met. Like Eliza, we do not have a date for Robert's death but we know that he died some time between 1891 and 1901. John was born in Bentham, his wife and Robert's mother Ann (1814-1873), was born in Eppleby, North Riding of Yorkshire. 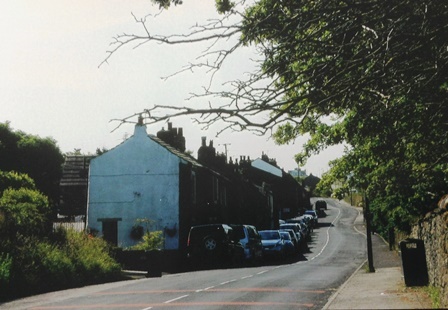 We know that the family were living in Witton-le-Wear, Durham in 1841 as this is where their first born, John, was born; by 1843 they were living in Bishop Auckland as this is where their second son, Robert, was born. They had moved to Over Darwen by 1846 as this is where their daughter Ann (1846), by 1848 they had moved to Turton where Hannah (1848) was born. They were living in Poynton, Cheshire, in 1851; this is where their sixth child, Margery, was born in 1851 and it is confirmed by the 1851 census: John and his wife are living in Jew Row, Poynton, with their first five children. Margery must have been born after the census was taken. John is a lime keeper. They stayed in Cheshire at least for the next 7 years as this is where the rest of their children were born: William (1854); and Richard (1858). By 1861 the family had moved to Blacksnape, they were living at number 67. John was 46 and a labourer foreman; James was a carpenter; Ann, Hannah and Margery were all cotton weavers, whilst William and Richard were at school. The family are at the same address ten years later. John is a labourer. Their daughter Hannah, who is not married, is living with them; both she and Margery are cotton weavers. Their sons, William and Richard, are both brick layers. It is clear that many of the men in the Turnbull family were builders of some sort. In fact, my cousin, Kathleen (daughter of Jim Turnbull and May Ward) said that one of her father's relatives helped to build the row of houses on Ratcliffe Street where they lived. Ann dies on 15th March 1873 in her 58th year, she is still living at Blacksnape. She is buried at St Paul's church in Hoddlesden. By 1881 John is a lodger at 5 Francis Street with a Thomas and Sarah Cook and their family. He is still working as an outdoor labourer even though he is 65. John dies on 26th January 1889; he was living in Blackburn. John is also buried at St Paul's. John marries Peggy Yates at St James in in 1863. They have at least five children: Elizabeth Anne (1866), John William (1871), Mary (1877), Hannah (1879), and Bertha (1882). They are living at 58 Blacksnape in 1871 and 1881 but by 1891 they have moved to 10 Progress Street. John is a banksman first in a colliery then at a stone quarry; banksmen used to collect the miners' brass tallies as they went underground and came up. All of their children work in cotton mills. James marries Jane Kershaw in 1865. He is a carpenter and they have seven children, one of whom dies; here they are: William (1869), James (1871), Alice (1873), Ann(1875), David (1880), and Betty (1882). They first live at 69 Blacksnape in 1871 and then have moved to 66 Blacksnape by 1881. James dies in 1881 and his wife, Jane and their children have moved to 5 Ratcliffe Street by 1891; they are still living there in 1901 but by 1911 Jane has moved to 14 Edmund Street. She is living there with her three daughters, all of whom remained single. It looks like Ann had an illegitimate child, Mary and lived in Mill Street, Lower Darwen in 1881. In 1882 Ann married Thomas Cowburn and in 1891 they are living at 62 Harwood Street; Mary is down as Thomas' step-daughter. 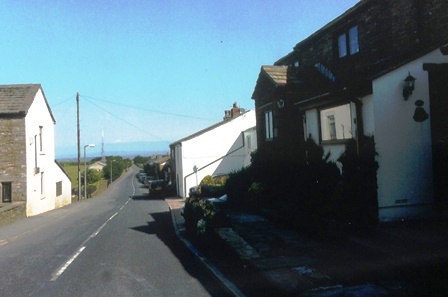 By 1901 Ann and Thomas have moved to 4 Tattersall Street Oswaldtwistle. In 1871 she is living with her parents at 67 Blacksnape. It looks like Hannah and Joseph had two children John (1875) and Robert (1877) but that both Hannah and Joseph died in 1880. In 1881 the two boys are living with their aunt and uncle John and Peggy Turnbull - it seems likely that Joseph might have been the brother of John's wife, Peggy. Margery married James Waddicor in 1874. They had six children, five of whom were still alive in 1911, these were: May Ann (1877); Grace (1878); Harriet (1881); James (1883); Jane H (1890). Margery worked as a cotton weaver for most of her life and her female children also worked in the cotton mill. James started off as a labourer, then became a winder at a pit head, then a farmer. They lived in Blacksnape all their married life, moving from 42 to 47. Margery died in 1909. William married Susannah Riley in 1874. They had seven children, six of whom were still living in 1911: Mary Ann(1875), Walter (1879), Emma (1881), Joseph (1883), Sarah (1886), and Hannah (1889). Like many of his siblings, William lived throughout his life in Blacksnape, with his wife and family at 64. William started his working life as a brick layer then became a labourer, then a labourer in the brick works. He died in 1923.